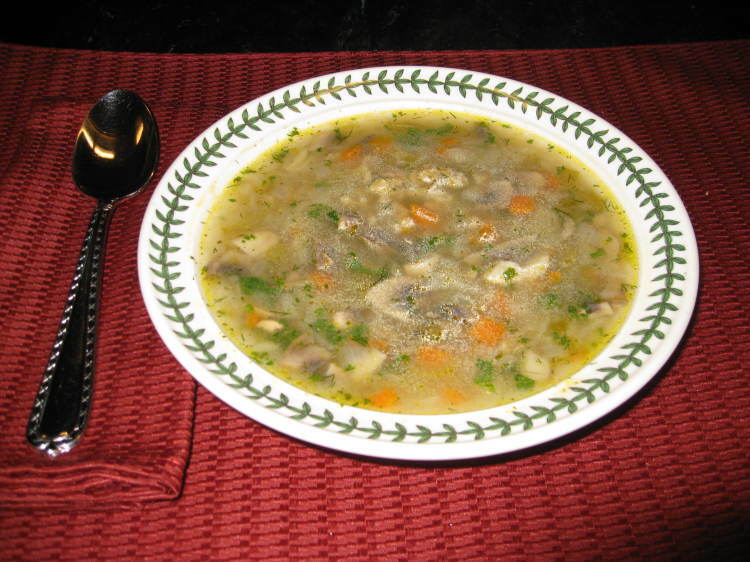 Classic Mushroom-Barley Soup…An Oldie But Goodie!!! This classic mushroom-barley soup is a staple dish in my home. It was posted by the wonderful vegan cookbook author, Nava Atlas, on December 19, 2010 on her website and has been a favorite of my family’s ever since. If it gets the seal of approval from my sons and my father-in-law (who wants me to bottle it despite the fact that I keep telling him it’s not my recipe), then I can assure you it’s amazing! Nava Atlas describes this soup as a “warming winter soup” but, in my home, it’s a soup for all seasons. Please note that I use 10 cups of water where indicated (as opposed to Nava’s 6 cups) and that I am partial to the vegan bouillon cubes by the Rapunzel brand. I also prefer the brand Spike as an all-purpose seasoning blend as opposed to any others. Add 6 cups water, followed by the celery, carrot, barley, bay leaves, bouillon cubes, and seasoning blend. Bring to a gentle boil, then cover and simmer gently for 30 minutes. Add the mushrooms and simmer for 20 to 30 minutes longer, or until the barley and vegetables are tender. Stir in enough rice milk to give the soup a slightly thick consistency. Season with salt and pepper and stir in the parsley and dill. Allow the soup to stand for 30 minutes off the heat before serving. The soup thickens quite a bit if it is refrigerated. 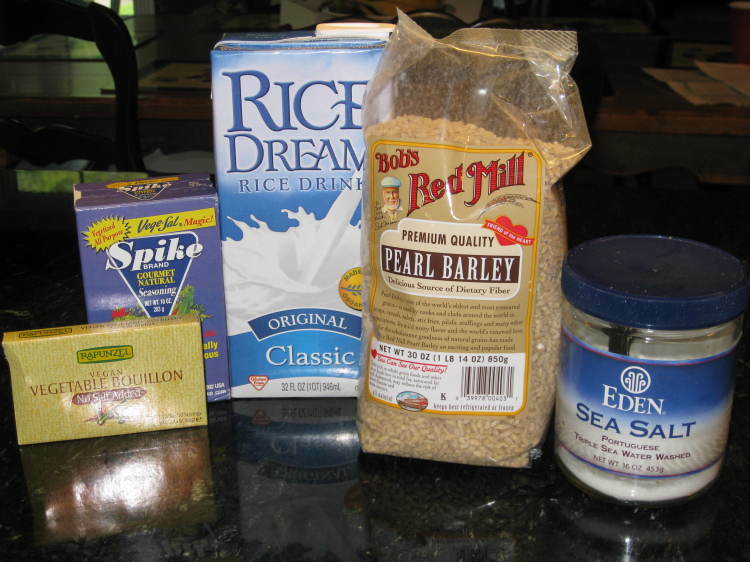 Add more rice milk as needed and adjust the seasonings; heat through as needed. I strongly urge everyone to try this recipe as it never disappoints!!! If it’s a favorite of my royal family, then it will be a favorite of yours too!!! LOVE the recipes and this website. Wish you would make the print friendly version without the expensive to print photos though — and just the recipe, not 5 pages of comments & recipes links etc. for the print out please. These are great on the website — wasting 5 pieces of paper and ink is not — I’m sure you would agree. Thank you! Thanks Beverly! We totally agree that we need a print friendly version of the recipes. As the site is relatively new, we are still working on the bells and whistles. That is on the top of our list. We actually just put a search button on the site. Stay tuned, we’ll work out the print friendly version soon. I just discovered your website right now !! Woe, very impressive ! I am a vegetarian, trying to get on the Vegan wagon. I just saw your barley soup recipe and am heading to the store soon! I saw a comment from one of your fans about having a print friendly page, nevermind………..just tell folks to take pix of recipe with their Iphone, then no need to print, right? Thanks Nurse Mary! The barley soup recipe is a winner. In fact, I just made it today for my family.Good luck trying to get on the vegan wagon. 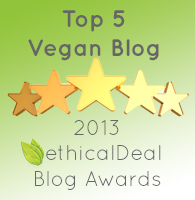 You might be interested in our post “Vegetarians Going Vegan: A Growing Trend.” You could also copy and paste the recipe onto a blank pages document and print it out. Good idea about copying the recipe to a blank page for printing. I am going to make this tomorrow, I just managed to buy some pearl barley after looking for ages in my small local supermarkets, who said they don’t keep it any more because there is “no demand”! Do you have a recipe for 100% sourdough rye bread using some cider vinegar? We don’t but that sounds delicious!